Getting people’s attention can be a tricky endeavor, especially if you’re trying to convince them to buy something. One way to successfully communicate with your potential customers can be with an attractive sign. Now, in order for a sign to be deemed successful, there are three categories that are important to consider: composition, color and font. 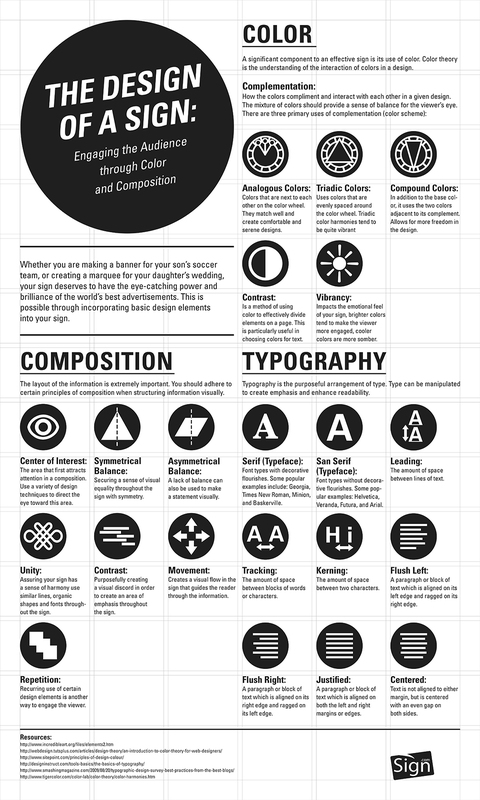 In the following infographic, Sign.com goes over those important elements of design, as well as other categories that can help you create a successful sign.